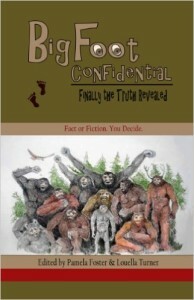 This is a collection of short fiction about Bigfoot sightings, both horrific and funny. You will read about Bigfoot in the old west, Bigfoot in the modern day, Bigfoot and alien beings, Bigfoot’s mother, and Bigfoot himself fitting into society. This book has it all, but what it has most of is good writing in great and entertaining stories. My short story, “The Den,” takes place in the Ozark wilderness, and combines a sweet romance aspect with the suspense and horror of a traditional monster tale.